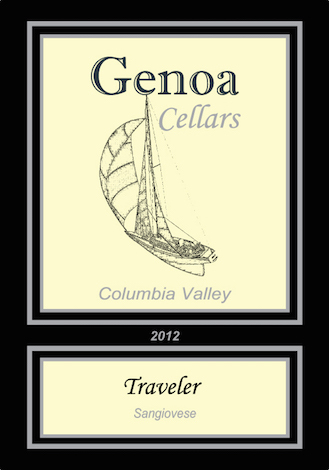 Woodinville vintners Derek Berger and Scott Heinrich relied on a blend of Cabernet Sauvignon from Red Mountain in 2011 to create a Super-Tuscan blend under this label, but this vintage shows more dedication to Sangiovese. Aromas of red cherry, red currant, pomegranate, chocolate and Swisher Sweets cigar tobacco leads to rich and juicy flavors of raspberry and black currant. Mild and rounded tannins create an ideal acidity-to-fruit balance, which allows the finish of dark strawberry to shine. It’s easy to envision enjoying this with lasagne, and the wine earned a gold medal at the 2015 Capital Food and Wine Festival Competition.